On Sale Now! Save 3% on the Northlight 48'' Lighted White Glitter Standing Buck Christmas Outdoor Decoration by Northlight at Two Clock. MPN: 32267176. Hurry! Limited time offer. Offer valid only while supplies last. 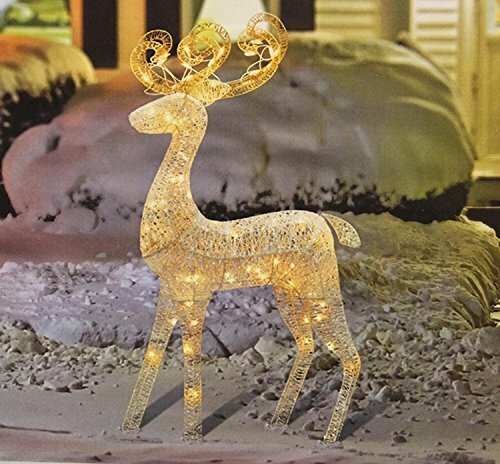 Features a white body that is accented with large silver glitter flakes, his antlers are completely drenched in sparkling gold glitter Features:.